105.7 MAX FM is proud to launch “Max Cares – Taking Care of San Diego Together”- a media outreach program that brings one local charity a month to the forefront with the goal of educating the community about the organization and the work they do in the community. 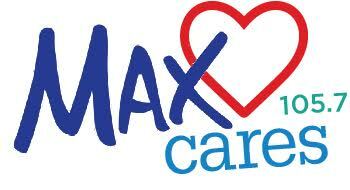 The “Max Cares” initiative will inform listeners how they can become involved or volunteer with the organization, as well as how to tap into the charity’s resources if needed and how to donate or participate in their events or programs. Max Cares kicks off February 1st with Veterans Village of San Diego and will be supported by PetersenDean Home Improvement Contractor, with more participating charitable organizations to be announced shortly. President and Market Manager Mike Glickenhaus states “We feel a very strong obligation to help support and give back to the San Diego community. Max Cares will also be supported by Mighty 1090 and ESPN 1700 as well as all BCA digital and social media platforms Broadcast Company of the Americas (BCA) operates The Mighty 1090 AM (mighty1090.com) 105.7 MAX-FM (1057max.com) and ESPN 1700 AM and holds the radio broadcast rights for the San Diego Gulls Hockey as well as the flagship for USD Football and Basketball. Visit our websites at www.mighty1090.com, www.1057maxfm.com.